Shot on Bulb setting. Basic edit in ACR then resize for web in Photoshop. 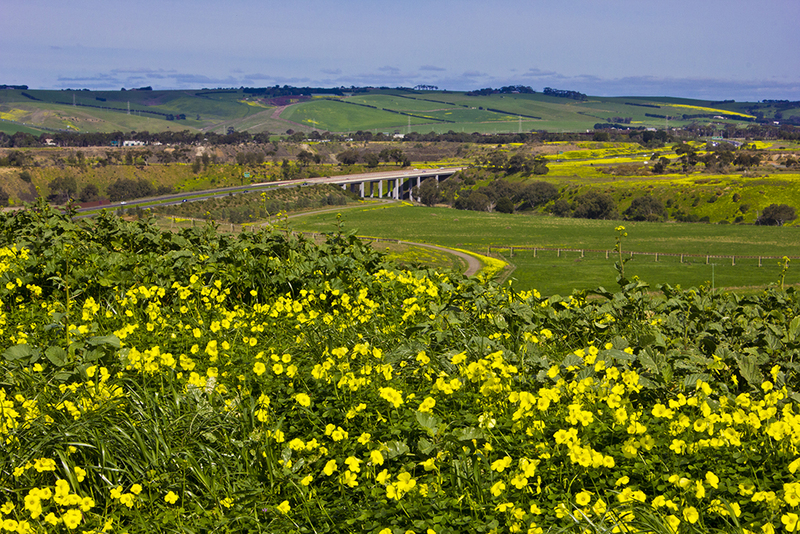 A Sunday bike ride along the Ted Wilson trail gives this vista of Fyansford and the Barrabool hills. This is another attempt at HDR, using Photoshop HDR Pro. There was a little post processing in Photoshop – changing the colour of the interior space, and some further adjustment to colour and contrast. While the interior space is still quite dark, this represents what I actually see at dawn when the kitchen is lit only by daylight. Audrey Hepburn had breakfast at Tiffanys. My breakfast at Rippleside, like hers at Tiffanys, embodies a dream. Audrey’s fantasy was of comfort and beauty: every poor girl’s dream. Her dream was eventually realised with typical Hollywood romanticism (and a fare dollop of amazing Henry Mancini strings). 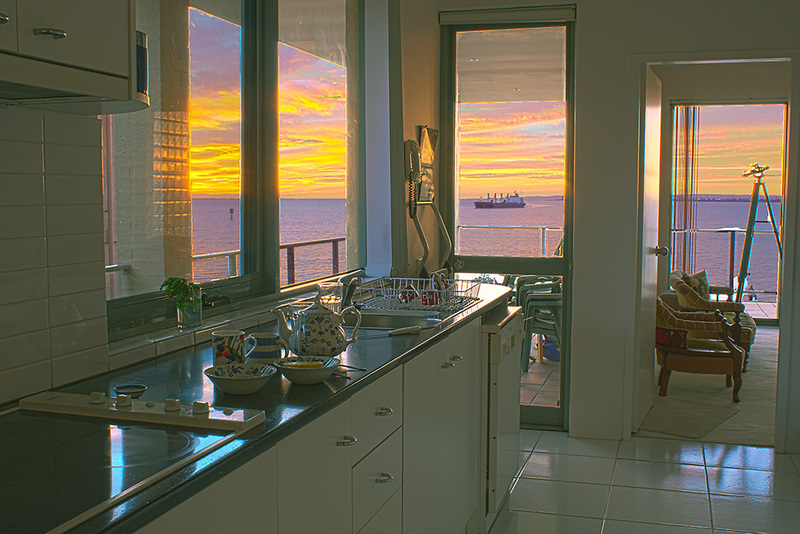 My dream of the beauty of nature and our wonderful outdoors is realised daily as I eat my breakfast to the backdrop of Corio Bay and the morning sky, and cycle Geelong’s amazing diversity of natural and built landscapes. My domestic space looks outwards from the security of the inner space over which I have control to the vastness of nature – wild, diverse and all-encompassing. A blog about things that relate to Mona, and that don't. Seeing the world from atop a bicycle!